Brock Lesnar (pictured) shocked the mixed martial arts world Saturday when it was announced the former UFC heavyweight champion would end his four-year MMA hiatus to perform at UFC 200. However, Lesnar’s return to the world of real fighting will be short-lived. Like, one-and-done short-lived. Lesnar, who is still under contract with the WWE, will be a mere loaner to the UFC for only the July 9 extravaganza. Essentially, a quick cash-grab. It is currently unknown who Lesnar will face in the historic event. 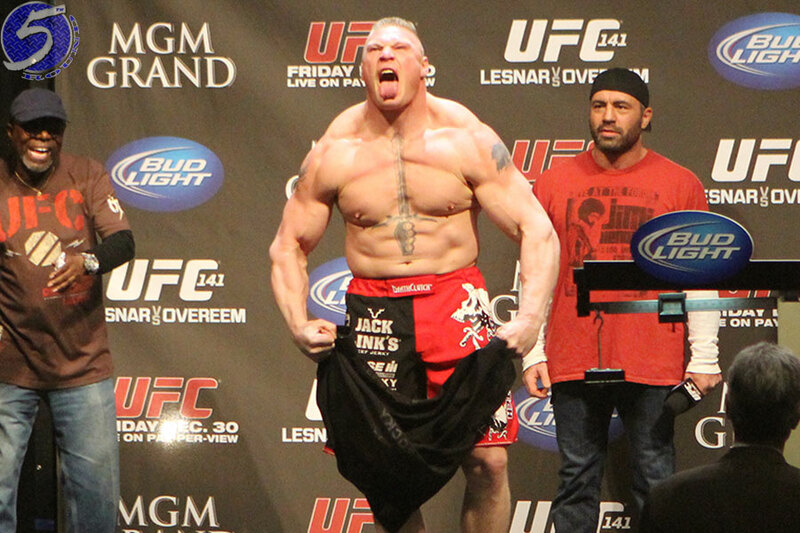 No word if the UFC had to pay the WWE for Lesnar’s services. Most likely they did. Lesnar started his MMA career back in 2007, joining the UFC just one year later after submitting Min Soo Kim in his debut. Although Lesnar posted a mundane 4-3 record in the UFC, four of those fights were championship affairs. He captured the heavyweight title by beating Randy Couture in his third UFC fight, defending it twice before getting blasted by Cain Velasquez at UFC 121. Lesnar, who turns 39 in July, hung up his MMA gloves after getting TKO’d by Alistair Overeem over four years ago at UFC 141. Lesnar promptly re-signed with the WWE after leaving the UFC. His contract with the professional wrestling giant expired last March, which had him back in talks with the UFC for a possible comeback. However, the WWE made him an offer he couldn’t refuse so he stayed put. UFC 200 goes down inside the brand new T-Mobile Arena in Las Vegas, Nevada.